The state specific part of the Wyoming Real Estate Broker Exam is comprised of 40 questions and is for agents with a license in a reciprocal state. The time limit for this exam is 1.5 hours. The Wyoming Real Estate Broker exams are taken on computers. You will receive your results immediately after finishing the exam. The exam is closed book. Bring a non- programmable calculator to the exam. Bring two forms of identification. 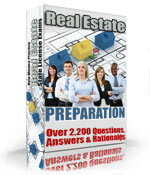 The registration fee to take the Wyoming Real Estate Broker exam is $140.00.